Evaluating tax issues within your business is an aspect that can aid in enhancing the value of your business. 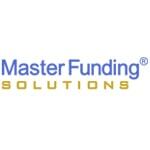 Our very own Master Funding Solutions are tailored with wealth creation in mind. Learn the advantages of thoughtful tax structuring from Tyler Maertz, managing director of STORE Capital.